In our last article, we covered some of the most common reasons that bar owners are sued nationwide. As slips and falls rank as the biggest source of claims, we’re dedicating an entire blog to preventing these mishaps. One wrong move and you can end up with an employee or patron in the hospital. Therefore, protect your operation with a customized and comprehensive Sports Bar Insurance Program and consider the following advice. The National Floor Safety Institute (NFSI) is adamant about restaurant and bar operators understanding their floor risks, as measured by the coefficient of friction (COF). According to the National Restaurant Association, the static COF measures the “slip potential,” or how much traction it takes to induce a slip, while the dynamic COF quantifies a person’s stopping ability once he or she begins to slip. Walkways with a wet static COF of .60 or greater and a wet dynamic COF of .42 or greater are defined as “High Traction” under the American National Standards Institute (ANSI) B101.1 and B101.3 standards. Audits might be daunting for bar owners, but requesting one can allow you to make the necessary safety changes required before you get dinged. A slip meter can be used to identify your flooring’s risk so that you can protect your employees and your patrons from suffering a fall. As part of the dress code, require your employees to wear the proper nonslip footwear needed to give them grip while walking and even running around in the restaurant. Put out a welcome mat. 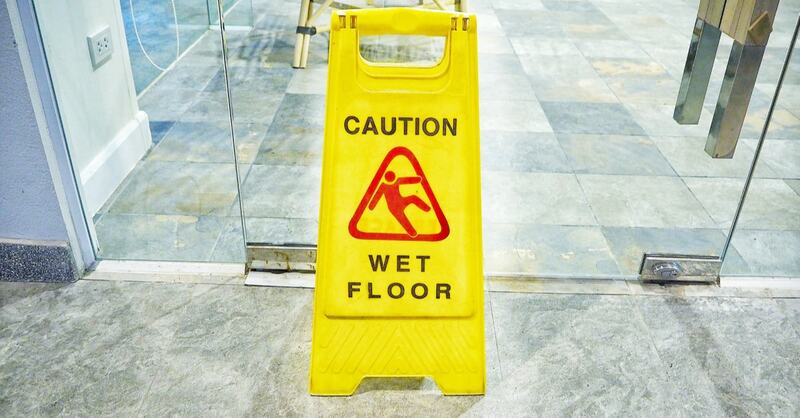 Especially in areas of the country where storms, ice and snow are common, a welcome mat placed outside can help rid shoes of excess moisture that causes slips and falls in the restaurant. In addition, mats should be placed on clean and dry surfaces in the kitchens, as well. Replace buckling, torn or worn carpets and mats. Repair uneven surfaces within the restaurant and on outside walkways. Train staff to report any problems they notice to management.